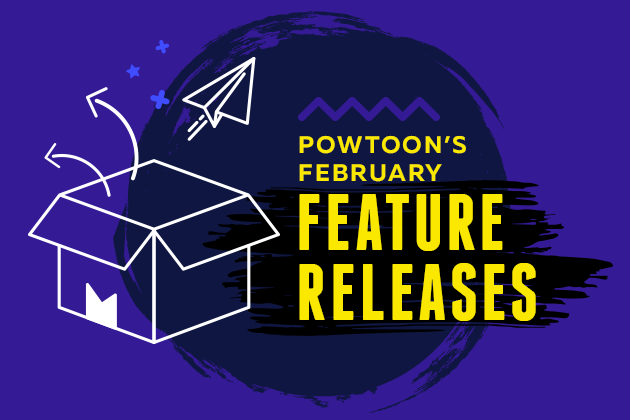 March is a massive month, not only because it signifies the end of winter, (at least for those in the Northern Hemisphere :/ ) but because it marks the release of many long-awaited Powtoon goodies! We have heard your cries for more templates and cooler effects. And, yes — we know how badly you’ve desired the ability to align! And we have answered these cries by developing, designing and creating the tools you need most! Without further Ado, let’s jump right into the massive March features! The first thing you might notice about our newest updates is the brand-spanking-new My Powtoons page. This page serves as your Powtoon home base. Just like before, you can see all your Powtoons listed below the top of the page. And just like before, you can use this list as a jumping off point for editing, collaborating, exporting or sharing your Powtoons. The big change comes up top: We dug deep into our user data to learn which types of Powtoons and templates are the most used, and which ones deliver the best results. We grouped these templates in an intuitive visual interface to help you get started fast. If you want to peruse the entire template list, build a storyboard or just start from scratch, you still have these options right at the top of the page. We hope you enjoy the new look and boosted functionality! Those of you who use design software may be familiar with the ability to alter the distribution, spacing and alignment of objects and text. Shouldn’t Powtoon be capable of doing the same? Well… now Powtoon can do all that, PLUS center your final product in the middle of your stage! This means bullet points and checklists can be aligned in one click. Objects on your Powtoon stage, such as characters, can be placed ANYWHERE, without regard, and in one click, can be evenly spaced, standing perfectly measured distances from one another. You can then change that spacing vertically or horizontally. You can even choose to align all objects from the top (highest point), or from the bottom (lowest point)… oh, did I mention: in one click. Listen, no matter how well you think you can space objects, nothing beats the exact alignment capabilities of software — so don’t be shy and use this guy whenever possible! Designed Text: It Looks Professionally Designed… Because It Is! Dear Powtoon users, there is ONLY one way to create beautifully designed titles, bullet points, intros, outros, announcements, calls-to-action or any other messaging — with ONE CLICK; And that is with Designed Text. 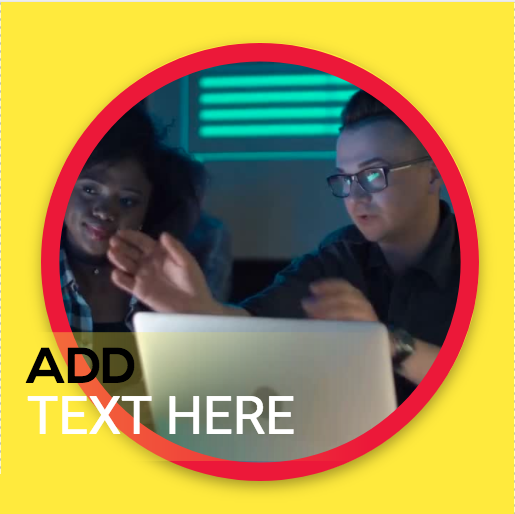 The Creative team here have designed loads of new text with overlays, complimentary colors and unique styles that you can click, or drag ‘n’ drop onto your Powtoon stage. Simply change the wording to suit your needs and voila, you have a message that looks a whole lot better than plain ol’ text. (Learn more about Powtoon Alignment here). Hole Masks… What Does that Even Mean!? Whether it be advertisements or training tutorials, video backgrounds have become an integral part of all video productions — because they look so darn cool! But, with this technological advancement comes technological challenges; How do you isolate or emphasize one part of the video background (while leaving a static region in the other) to deliver your message? The answer is only ONE CLICK away: introducing “Hole Masks.” Think submarine periscopes and Bugs Bunny holes. You now have the ability to place a circle-shaped layer over your video that acts as a “mask” to cover what you don’t want the viewer to see, and focus on what do want your audience to see. Try it out under the “Shapes” tab in your library. Nobody has time anymore. You rush to work, to complete an assignment, to pick up kids, grab food, email your co-worker…… but when do you have time for YOU!? Well, Powtoon wants to put an end to this. We want you to sit back and relax. We want to give you the gift of TIME. That is what Templates do. They are pre-made, designed videos with a clear message. Your job is to choose the right one, fill in your own message… (personalize it by editing or add anything you’d like), and you’re done. Video and presentation templates also exist to inspire, to give you ideas about what’s happening in the world of business, training, teaching or any other field. And so, we UPDATED our existing templates to reflect these modern trends. This month Powtoon introduces 14 templates who have undergone extreme makeovers of awesomization. They are simply fresher, more modern versions of our most popular templates. We also released four brand-new templates! Last month we added the ability to preview any video thumbnail, (and its title) in just one click. If you haven’t already spotted it, you can now do the same with ANY IMAGE (Flicker images or your own uploads) – AND just like video, simply click on the mini checkered box to have the image automatically set as a background. 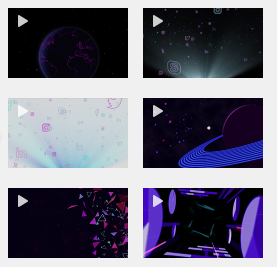 Aside from the 115,000 live video backgrounds on Powtoon powered by Storyblocks, there are loads of uniquely designed moving backgrounds that are hand-made by the Powtoon Creative team and only available for you, our awesome Powtoon Tribe! Hope you enjoyed this Massive March Update! Let us know what you think of these new features — or how you’ve used them — in the comments below! Howdy! 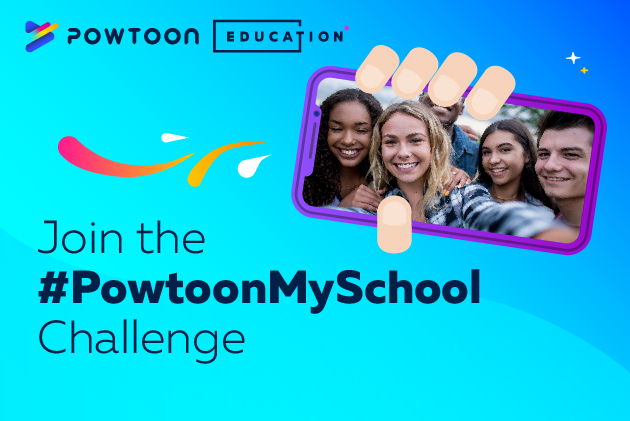 I'm not actually a cowboy but I'm Super excited to be here, honing in my science background plus marketing experience to help show the world how anything you wish, dream or say, can be made more awesome with Powtoon!